Staff responded to my email promptly and the instruction was quite easy to follow. Great location and very clean!! Private parking was a great added bonus. Would definitely recommend and would stay there again! 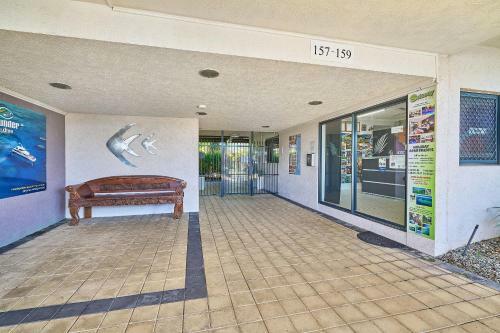 The property was in a great location, the apartment was clean and even though there was lots of people there you never heard them. The staff were super friendly. All the basic needs in the kitchen are provided. The staff is very nice. Prompt to repair the washer. Space of the living room, appropriate appliances and good advise to visitors. Comfy beds, great shower, nice apartment facilities. Helpful staff gave early access to the apartment. Hot water was fixed immediately upon request. Kitchen has a lot of utensils. Easy to cook in it. Very clean and spacious room. I specially love two bedrooms with two independent restrooms. 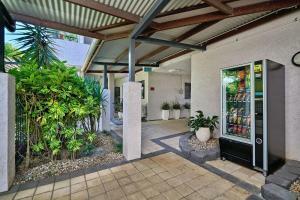 Excellent location, only a short walk from the centre of Cairns and also only a few blocks from the Esplanade. Booked the 2 bdrm apartment which was very well appointed and lots of room with 2 teenagers. Range of kitchen utensils were helpful. Comfortable and clean. Would definitely stay again. Lock in a great price for Getaway On Grafton – rated 8.4 by recent guests! 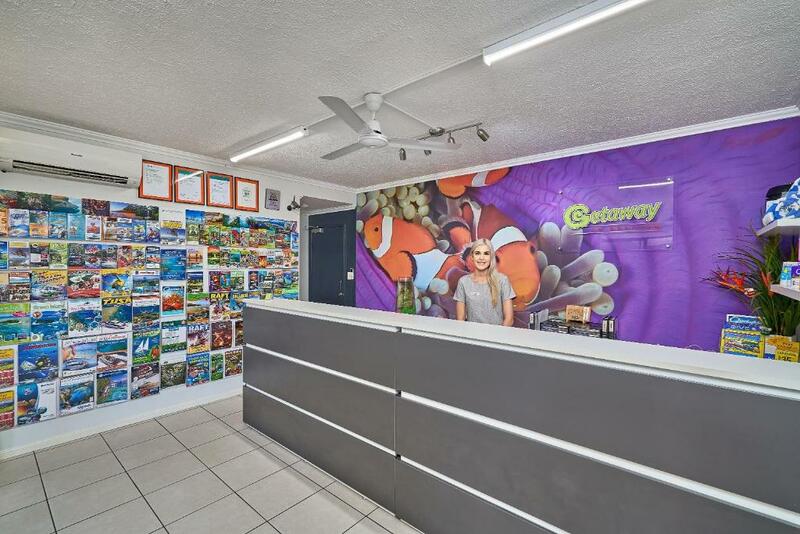 Getaway On Grafton This rating is a reflection of how the property compares to the industry standard when it comes to price, facilities and services available. It's based on a self-evaluation by the property. Use this rating to help choose your stay! 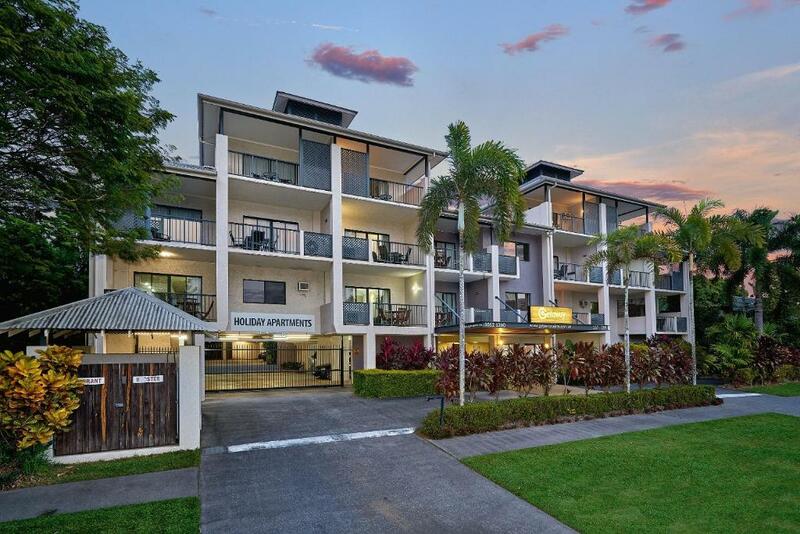 One of our best sellers in Cairns! 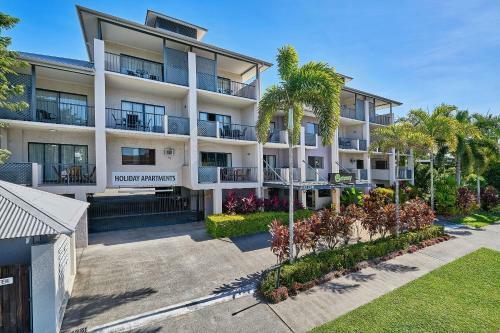 A popular location, just one block from the City, Getaway on Grafton is close to the Esplanade and within minutes walking distance of the city attractions. 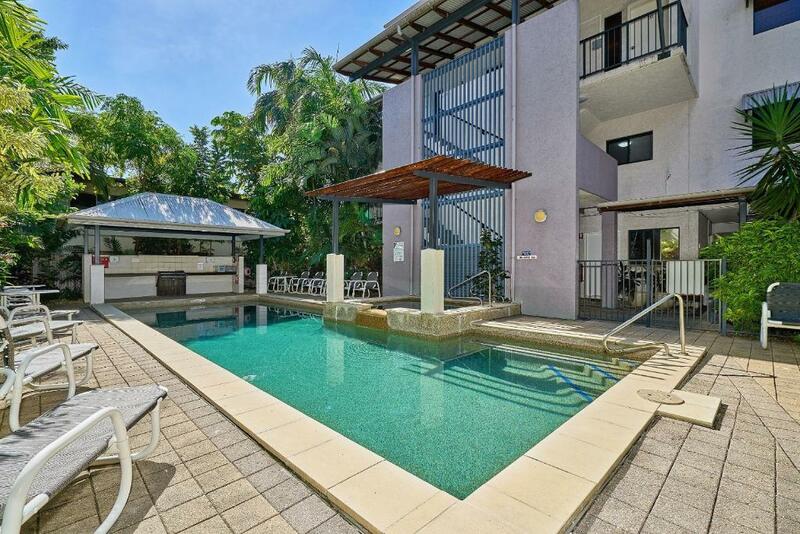 Getaway On Grafton is focused around a 40 feet resort style pool and spa, with a distinctly tropical theme. Enjoy the warm breezes from the private balcony of the apartment. 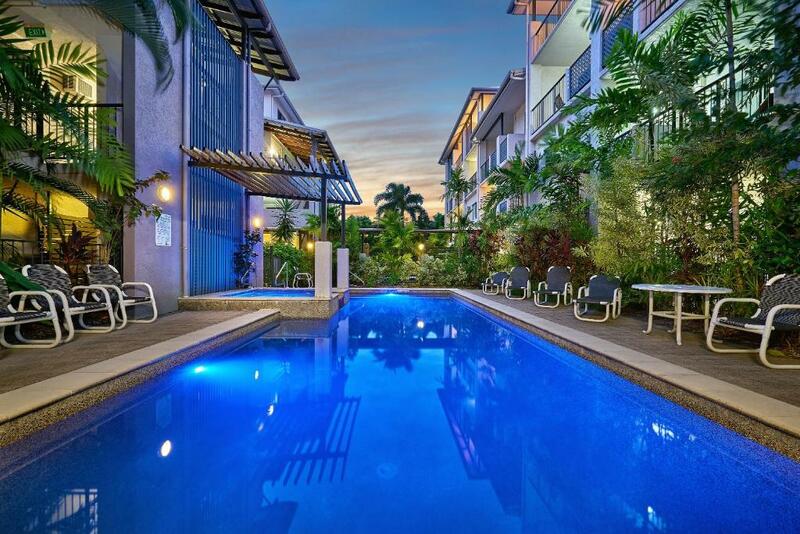 Grafton Getaway is a 10-minute drive from the Cairns Airport. 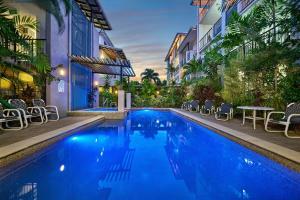 When would you like to stay at Getaway On Grafton? Spacious apartment featuring an private bathroom, fully-equipped kitchen, laundry, separate lounge area and private balcony. Includes an open-plan living/dining area and fully-equipped kitchen. It has 1 bathroom. Large apartment with private balcony, separate lounge area, fully-equipped kitchen, laundry and satellite TV. 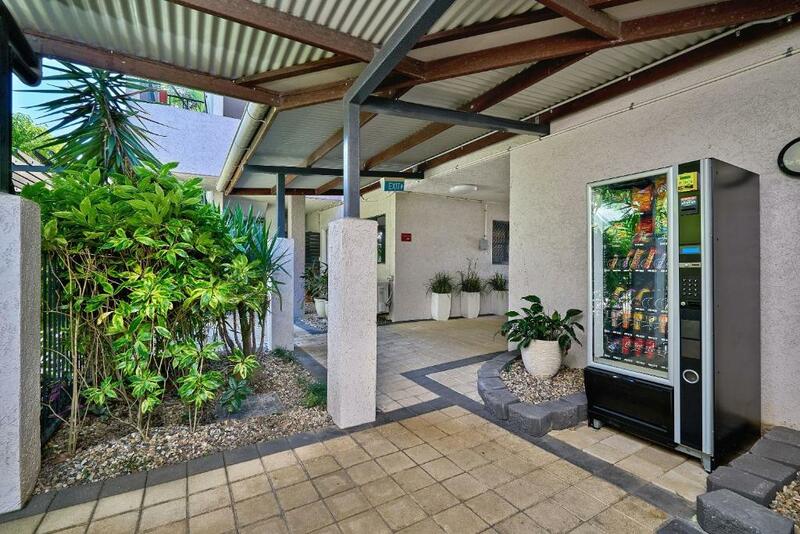 This apartment features a balcony, dishwasher and DVD player. Maximum occupancy is 2 adult plus 1 infant under 2 years. Hi my name is Kevin and I am the owner/manager of Getaway on Grafton, my wife and I have been here for 7 years and love Cairns. We can offer you a friendly and comfortable stay in our self catering apartments. Offer you a personal tour planning service. 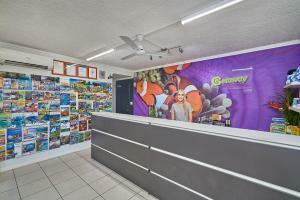 Our staff looking forward to meeting you and helping you have a great experience here in Tropical Cairns. 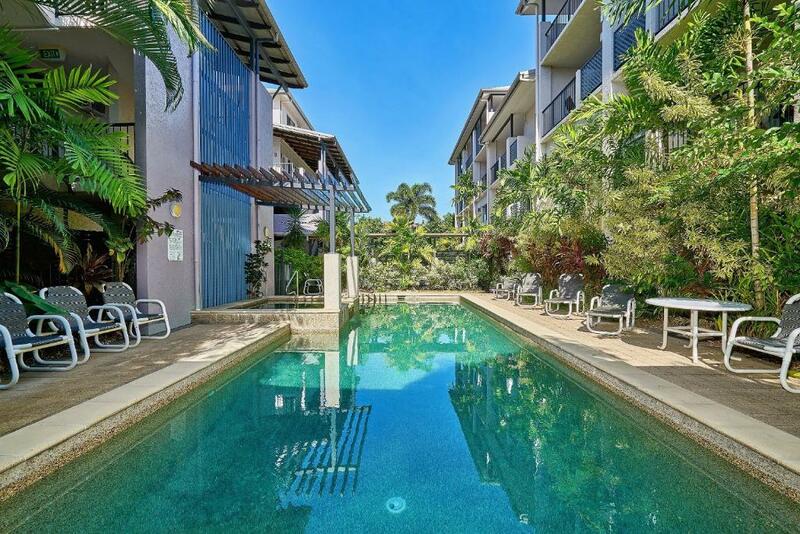 Hi my name is Kevin and I am the owner/manager of Getaway on Grafton, my wife and I have been here for 6 years and love Cairns. We can offer you a friendly and comfortable stay in our self catering apartments. Offer you a personal tour planning service. 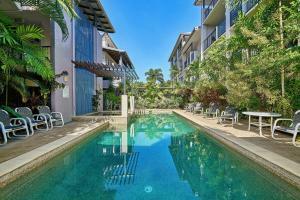 Our staff looking forward to meeting you and helping you have a great experience here in Tropical Cairns. House Rules Getaway On Grafton takes special requests – add in the next step! Getaway On Grafton accepts these cards and reserves the right to temporarily hold an amount prior to arrival. Please note rooms are located up 2 flights of stairs, the property does not have a elevator. Please inform Getaway On Grafton of your expected arrival time in advance. You can use the Special Requests box when booking, or contact the property directly using the contact details in your confirmation. Pillows were very soft. They looked nice and thick but they pancaked as soon as you put your down. The big shower in the bathroom. It was over priced, the apartment was a bit grubby, and the overall complex was dingy and tired looking. Only saw one member of staff who barely managed a smile. We had an apartment over looking the road (not a nice road). There weren't many people staying there, so not sure why we didn't get one over looking the pool. The pool was ok, and it had free wifi. Sheets were clean. The Humidity! Not something they could control I know, but the question is "What didn't you like?". Salt and Pepper shakers were empty. Otherwise, everything was great. The king sized bed was great. Everything you needed was there in the room and ready to go. They took a lot of pride in the presentation of the place, everything was well kept, clean and tidy. I asked my 2 year old what he liked. "The garbage truck in the morning" was his response. The beds were starting to dip in the middle so might be time to upgrade them. The blinds do not come down past the window so it is very bright in the morning and the outside lights shine in the back room at night. Good value for money. Staff were very accommodating. The rooms are good size and I like 2 bathrooms. We were on the ground floor with private access to the pool, which was great, but looked like someone had moved our stuff on the balcony to try and get through our door. Good thing we rememberd to lock the door. The room was in a great spot, loved the access to the pool, the rooms were very comfortable and great facilities for the family. The staff were very friendly and helpful. Would definatley come back here. the hotel leving city center a little be far away. not cleaning sevice. carpet very dirty. we will never come back again. some staff sevice is ok!some staff working on desk is ok . kinds. No complaints about motel a good clean place to stay not far from main street. Have stayed there before, no lift up to apartment but overall a good place to stay.,was not to far from main shopping area with little traffic noise. Cost was a bit dear but that was expected in a holiday area.